You are here: Home / Entertainment / The Top 10 Biggest Selling Video Games. One of the biggest present-day past times is gaming, and since the popularization of the home consoles in the 80’s the gaming industry is making over 100 billion US dollars a year. While games that make the best selling list come out years apart, what sets them different from the others? What makes them the best and sell more than any other? New Super Mario Bros was released in 2006 as a part of the Super Mario Bro, series. The plot was the same as the other Mario games in the series, Mario and his Brother Luigi battled through 8 worlds with 10 levels to save Princess peaches from the evil grasp of Bowser and his henchmen. This title in the series sold 30,800,000 copies on the Nintendo DS. The sequel to the game New Super Mario Bros. Wii is the 11th best selling game of all time with 30,200,000 units sold. Pokémon Red and Blue were first released in 1996 for the Nintendo GameBoy, as the first installment of the now hugely popular Pokémon series. The plot is a simple concept of battling 8 gym leaders before facing the best trainers in the fictional land of Kanto. While both Red and Blue were, in fact, separate games, they had a trading system which connected the 2 games, if you collected all 150 Pokémon you could connect your GameBoy to a friends and trade Pokémon with each other. Some may consider this one of the greatest games of all time. It sold 31,380,000 copies. Wii Sports Resort was one of the first home console games to utilize the Wii MotionPlus controller; the controller picked up complicated hand movements from a sensor system placed on the top of the television. The game featured 15 sports for players to choose from; they included golf, basketball, and bowling. The game sold 33,080,000 copies. Mario Kart Wii is the second game of the Super Mario Bros series to feature in the top-selling game list, this one used a racing format instead of the classic 2-d scrolling platform that Super Mario was known for. The game allowed players to use the normally non-playable characters as their driver and each copy sold came with a Wii steering wheel giving the game a more racing feel rather than the standard controller way. The game sold 37,100,000 copies making it the only dedicated racing game to hit the top 10 list. PlayerUnknown’s Battlegrounds or commonly known as PUBG is a battle royal style game, 100 players parachute to an island and find weapons and equipment to survive and be the aim was to be the last man standing. The game was released in December 2017 and has sold 50,000,000 copies to date, making it one of the fastest selling games of the previous decade. Wii Sports, The second of the Wii sports series to make the top 10 list it has 5 sports to chose from boxing, golf, tennis, bowling, and baseball. The game uses its motion detection for gameplay, encouraging people to play a fitness style game to be played inside the home. Wii Sports won the ING best sports game of 2006. It sold 82,850,000 copies making it the best selling sports game of all time. Grand Theft Auto V, the 5th game in the Grand Theft Auto series and the only Adult themed game to be placed in the top ten. The game is an action and adventure set in the fictional city Los Santos, which is based on the city of Los Angeles. The game has racing, gang-fights, heists and lots of other activities including tennis. It has sold 95,000,000 copies since its launch in 2013. Minecraft, A sandbox game that players build structures in a 3D world, it has no end goal apart from creating what you want. It has several different modes allowing players to have multiple choices in what they wish to do, by December 2017 the game had over 70 million active monthly players and had sold 144,000,000 copies. 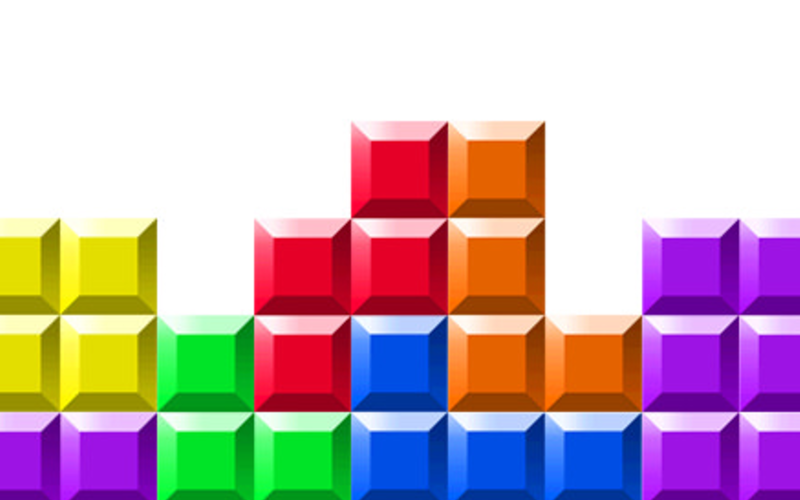 Tetris, the 1984 block puzzle game has sold a staggering 170,000,000 copies. The Russian game designed by Alexey Pajitnov has been released on almost every gaming system, computer operating system, and phone operating system since its release. The game itself is simple by design with the player just having to complete lines of blocks, the more lines the player completes the faster it gets.